The Neuroscience Graduate Group collaborates with the local University of Pennsylvania branch of Upward Bound to teach a neuroscience course, help students develop independent research projects, and host a neuroscience competition. The collective purpose of the Neuroscience Upward Bound course, the Research Fridays program, and the regional Brain Bee competition is to expose college-bound high school students from low-income families in the Philadelphia area to the topic of neuroscience and to encourage passion for the sciences. We seek to use these avenues to inspire scientific creativity while conveying the foundations of neuroscience and applicable career paths. In conjunction with the national Upward Bound program, we help students improve their study skills and analytical thinking, key factors for success in higher education. 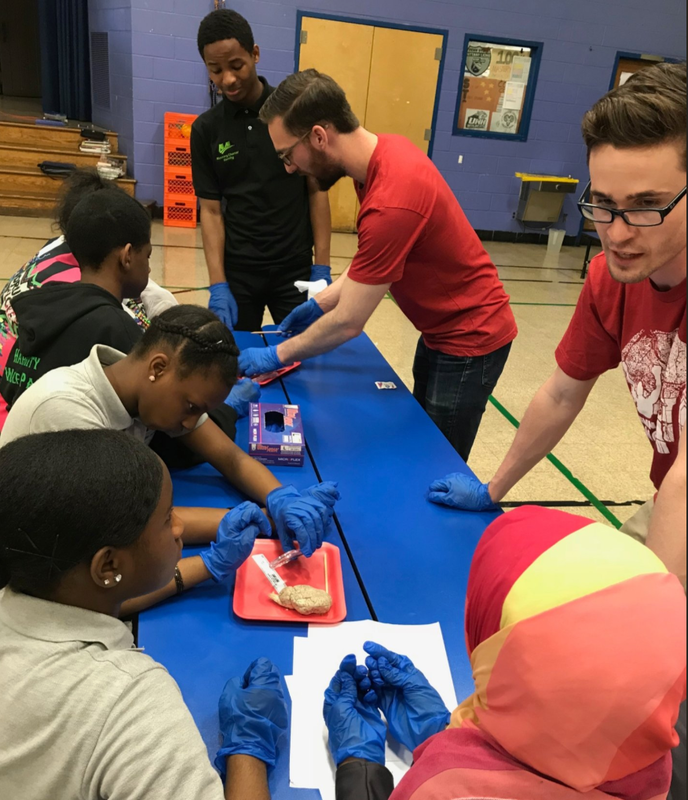 In addition to increasing opportunities for community outreach, participation in these Upward Bound activities provides additional teaching experience to students in the Neuroscience Graduate Group as they share their knowledge and excitement for neuroscience with local high school students. 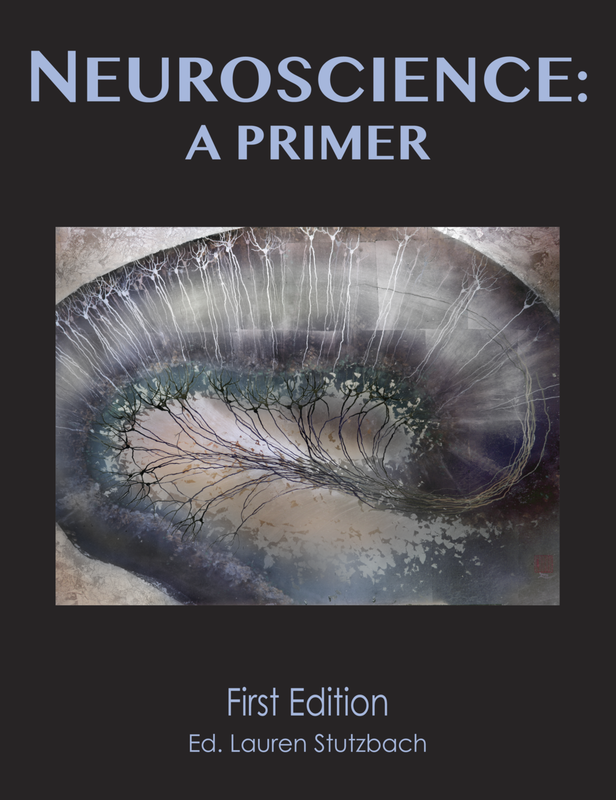 Written and designed by students in the Neuroscience Graduate Group at the University of Pennsylvania in 2014, Neuroscience: A Primer presents the basics of neuroscience for a high school audience. Covering topics including addiction, memory, and the cell biology and electrophysiological properties of individual neurons, the textbook is an excellent resource for teachers and science outreach groups. The Primer is available on Amazon in hard copy. You can download an electronic version for free here. As part of the summer Upward Bound program, Neuroscience Graduate Group students run a neuroscience elective course. The course meets biweekly, and exposes roughly twenty local high school students to the basic concepts of neuroscience. The class is organized and taught by volunteer students from the graduate group, with different instructors and topics for each class. We have developed a summer mentoring program in which graduate students work in a small group setting with high school students to develop individual research projects. This program provides Upward Bound students with the opportunity to explore their own interests in science under the guidance of our neuroscience graduate students. The Research Fridays program complements the lecture component of Upward Bound by encouraging independent thought, creativity, scientific inquiry, and the development of organizational skills. Students learn how to generate a hypothesis, conduct research, maintain a formal record of their data, and formulate conclusions. The project culminates in a poster presentation that synthesizes the weekly assignments into one coherent project evaluated by graduate mentors. Furthermore, “Research Fridays” allow our graduate mentors to experience teaching in a more intimate, free flowing setting that emphasizes the mentor-mentee relationship. This is a rich and rewarding challenge, providing the opportunity to create meaningful connections and make a difference in the development of the next generation of scientists. For more information, contact the Research Fridays coordinators Mafe Navarro (namari@pennmedicine.upenn.edu) and Ruthie Wittenberg (wittenb@pennmedicine.upenn.edu). The Neuroscience Graduate Group hosts our regional Brain Bee, a competition for secondary school students to test their knowledge of facts about the brain. The Brain Bee is an international competition, sponsored by the Society for Neuroscience and based on information at BrainFacts.org.